FOLEY, Thomas Stephen, a Representative from Washington; born in Spokane, Wash., March 6, 1929; graduated from Gonzaga High School, Spokane, Wash., 1946; A.B., University of Washington, Seattle, Wash., 1951; J.D., University of Washington Law School, 1957; lawyer, private practice; appointed deputy prosecuting attorney, Spokane County, Wash., 1958; professor, Gonzaga University Law School, Spokane, Wash., 1958-1959; appointed assistant attorney general, State of Washington, 1960; assistant chief clerk and special counsel of the Committee on Interior and Insular Affairs of the United States Senate, 1961-1963; elected as a Democrat to the Eighty-ninth and to the fourteen succeeding Congresses (January 3, 1965-January 3, 1995); unsuccessful candidate for reelection to the One Hundred Fourth Congress; chair, Committee on Agriculture (Ninety-fourth through Ninety-sixth Congresses); majority whip (Ninety-seventh through Ninety-ninth Congresses); majority leader (One Hundredth and One Hundred First Congresses); Speaker of the House of Representatives (One Hundred First through One Hundred Third Congresses); awarded the title Knight Commander of the British Empire by Queen Elizabeth II in 1995; Ambassador to Japan, 1997-2001; died on October 18, 2013, in Washington, D.C.
Papers: In the Sierra Club, Northwest Office Records, 1967-1985, 132.5 feet. Correspondents include Thomas S. Foley. A finding aid is available in the repository. Papers: 1964-1997, 550 linear feet. The papers consist of correspondence, enclosures, and reports concerned with Congressman/Speaker Foley's legislative efforts. There are also significant quantities of press and public statements, including news clipping files and many audio and video records of Congressman/Speaker Foley. There are also papers relating to election campaigns, and materials concerning the various leadership posts held by Congressman/Speaker Foley. The records series are as follows: Legislative Files, General Correspondence and Subject Files, Office and Personal Files, House and Party Leadership, Government Departments and Agencies, Election Campaigns, District Office, Press Files, and Media Materials. A finding aid for the papers is available in the repository and online. Biggs, Jeffrey R., and Thomas S. Foley. Honor in the House: Speaker Tom Foley. Foreword by Mike Mansfield. Pullman: Washington State University Press, 1999. Bird, Robert Kenton. 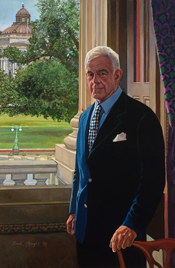 "The Speaker from Spokane: The Rise and Fall of Tom Foley as a Congressional Leader." Ph. D. Diss., Washington State University, 1999. Ralph Nader Congress Project. Citizens Look at Congress: Thomas S. Foley, Democratic Representative from Washington. Washington, D. C.: Grossman Publishers, 1999.